Are you looking for slate cleaning in NYC? For years, Statewide Stone Care has provided expert slate cleaning for residents of NYC, restoring the appearance of this beautiful stone to dazzle guests in homes and offices around the city. Our leading methods and attention to detail rejuvenate the look of slate promptly, Slate is a beautiful stone that brings new life to any surface it’s installed upon. We see slate on roofs, but the material is also commonly installed on driveways, walkways, countertops and flooring. The surface is highly versatile, long lasting, and a beauty to the eyes. Slate makes anything look more gorgeous and appealing. But when it gets dirty, suddenly its appeal is reversed. You have a hard time looking at it, because it reminds you of how the stone used to look. Fret no more, our expert slate cleaning in NYC gets the slate looking clean, fresh, and restores its natural beauty. Many homeowners have called us after they attempted to perform slate clean in NYC themselves. The results were less than kind. Some customers had chipped and damaged panels, necessitating a complete replacement, because of their carelessness. Others just simply made the stone more undesirable. Cleaning precious stones requires a delicate touch. One must know the slate in and out before they try to tackle this job. We have years of experience in the field, and bring our expertise to every job. We stay on top of industry advancements and send our professionals to take the latest training. We are passionate about stone, and we love to see it come back to life. Nobody can deny the power of a clean home. When everything is clean and tidy, the overall look is more appealing. Dirt and grime have a tendency to cause people to avert their eyes. Don’t cause heads to turn away from your home. 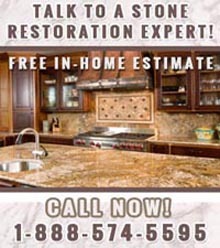 Draw the attention to how well you care about your home with slate cleaning in NYC for your countertops and floors. A professional will not only clean the tiles, but check their overall condition. While slate is meant to last for lifetimes and beyond, general repair and maintenance should be expected throughout this time. With a thorough inspection, we can save you money later on in more pricey replacement jobs. Then, clean slate will be the least of your worries. When your slate is looking dulled, call us for affordable slate cleaning in NYC that will restore the appearance of your countertop and floors, and make your home brighter and cleaner. For more information about slate cleaning in NYC, call Statewide Stone Care today at (888) 574-5595.